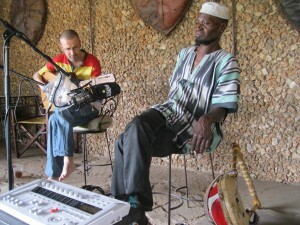 Alan Donovan’s African Heritage House is where we start recording. It is a kind of living museum created over some 40 years, full of precious artifacts from all over the continent. Modern and ancient pieces of art and craft are everywhere and the actual house is of an amazing design. We record outside – it’s technically in the pool house, but it’s basically a fairly large wooden structure open to the elements on three sides, with an elaborately designed swimming pool. 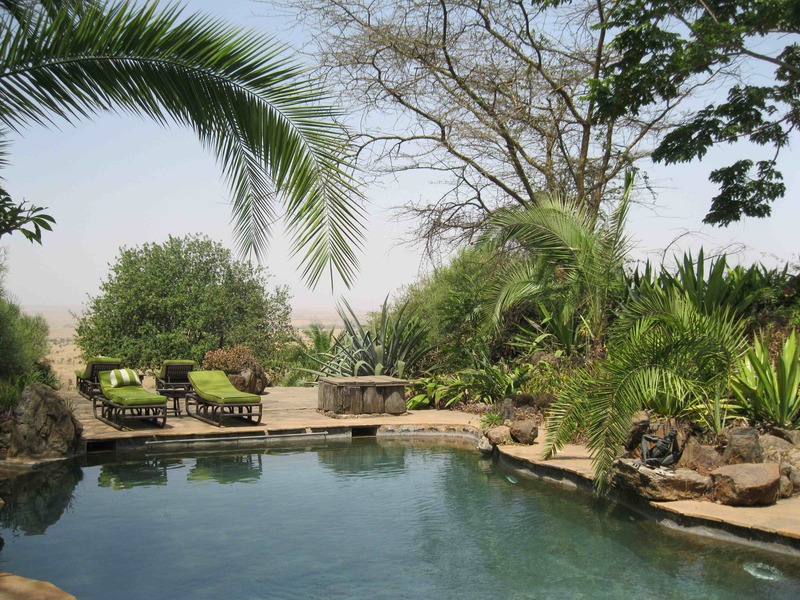 Oh, and Alan’s place looks straight at the Nairobi National Park where I spy zebras grazing. It all feels pretty surreal in the near 30 degree heat of 10 in the morning. The dust is blowing off the parched savannah and almost everything is yellow brown, the kind of colour that tells you it hasn’t seen rain for a very long time. I have really arrived in Africa.